Our campuses are within walking distance of Tower Bridge and features extensive study and recreational facilities for students. For relaxation and recreation, our main campuses have Student Common Rooms where students can gather socially on an informal basis. All our campuses have WiFi facilities. 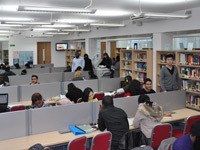 The College library, based at the Chaucer House campus, stock comprises of a loan and reference collection of all core texts and recommended reading and a collection on study skills and research methodologies. Both print and online resources are available to help students with their studies. These include peer-reviewed academic journals, Datamonitor Reports (a source of premium global information on companies) and over 40,000 electronic books. There is a separate online database of the prescribed core texts. The leading UK daily newspapers are also in stock in hard copy. There are subsidised photocopying facilities and unlimited access to the Internet. 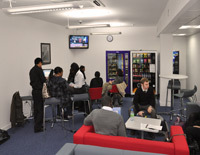 The computer suite, also based at the Chaucer House campus, is equipped with Pentium-based terminals and students have free access to Internet and e-mail facilities (academic purposes only). The School provides initial practical training for students. 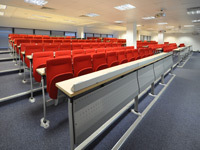 The LSC campuses contain many Lecture rooms and lecture theatres, all equipped with modern teaching amenities. 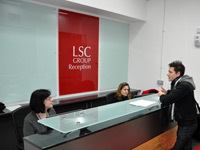 LSC provides a student counselling service which gives practical help and advice on both academic and non-academic issues. This team includes Teaching Assistants and also Administrative Support Staff whose role is to help with concerns such as visa and registration issues.